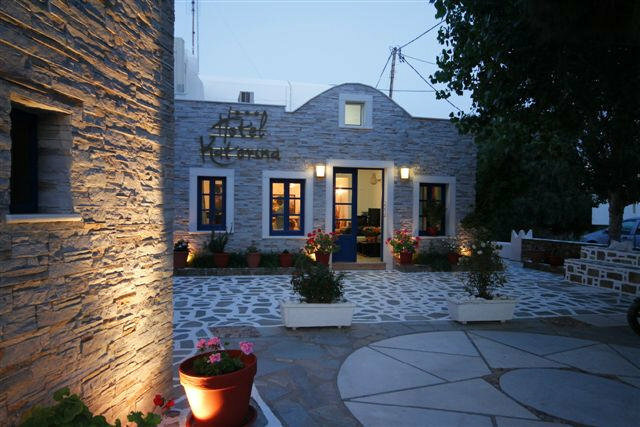 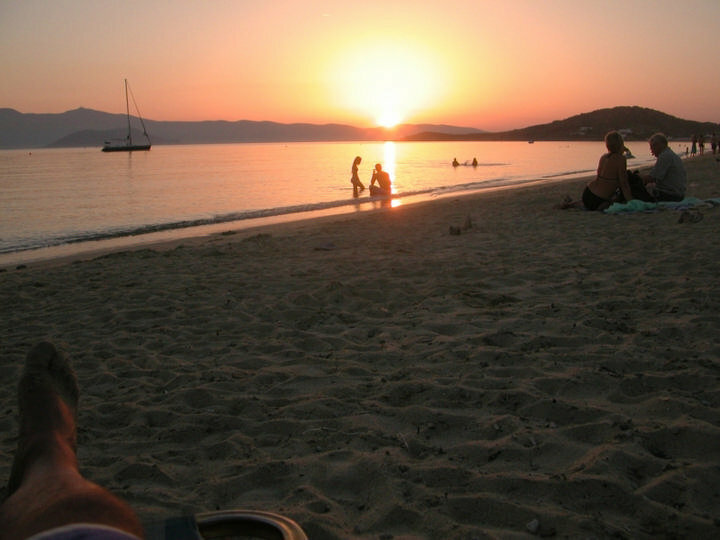 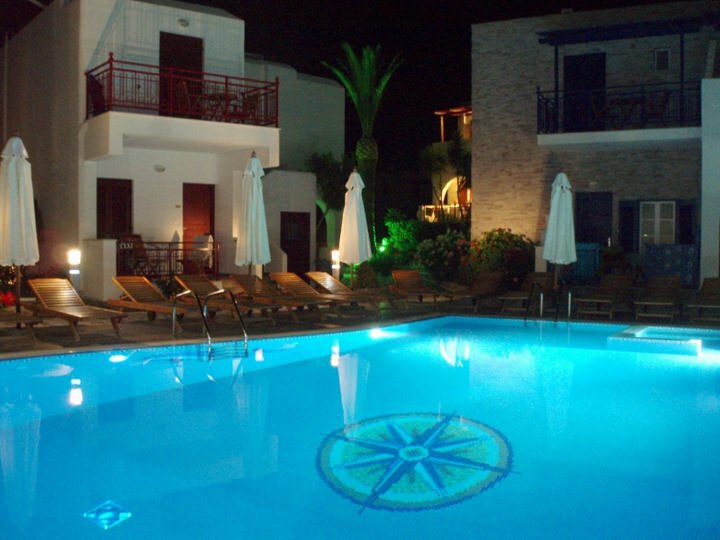 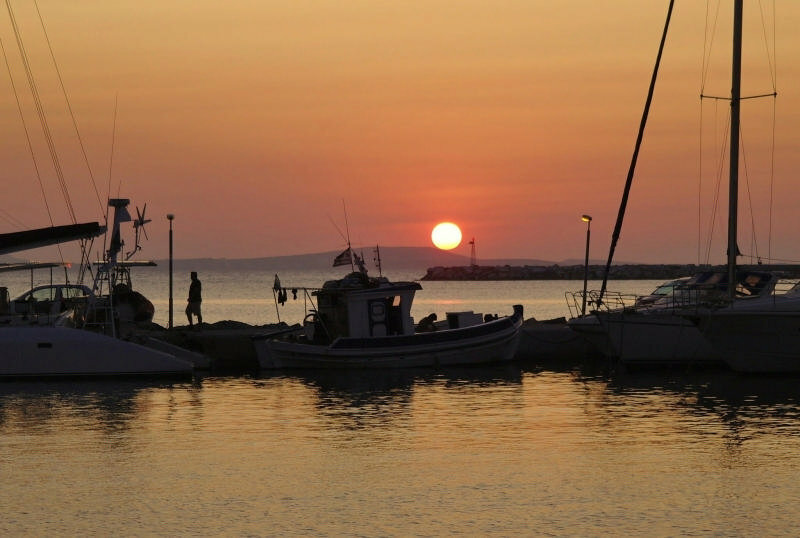 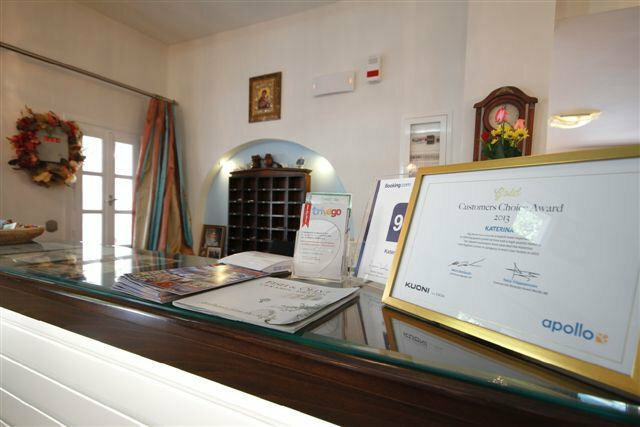 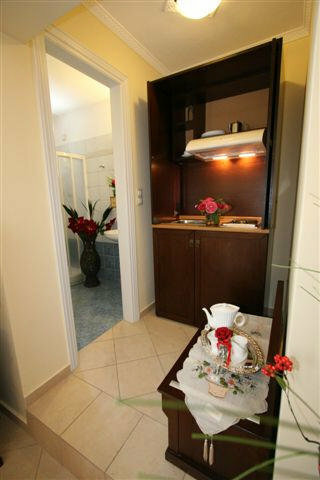 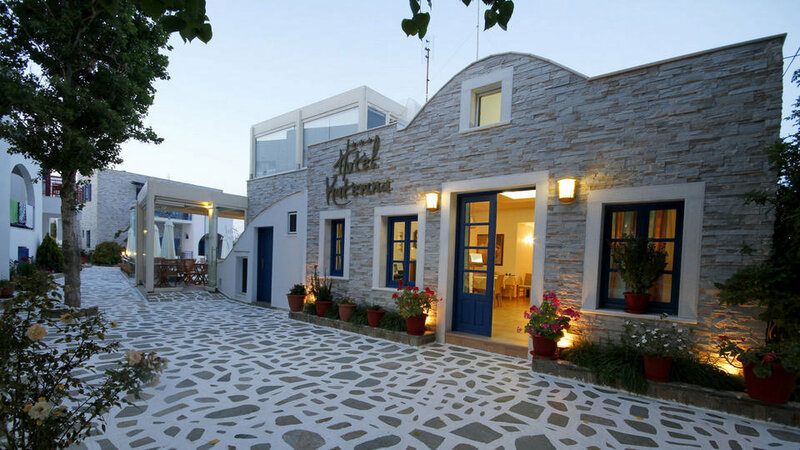 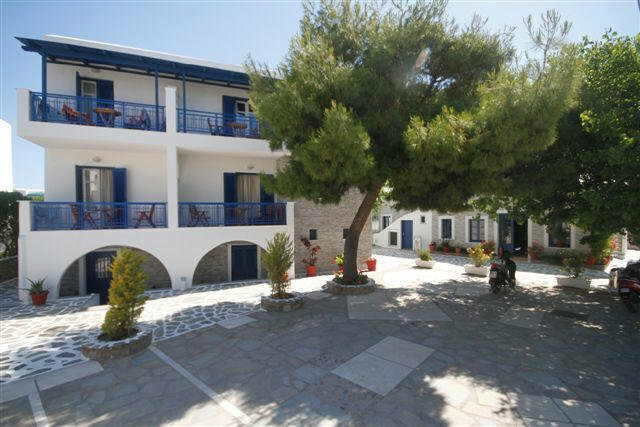 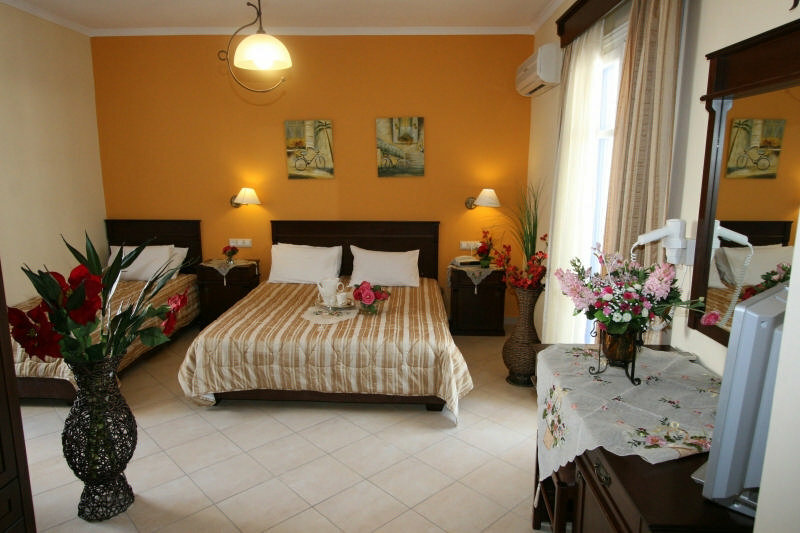 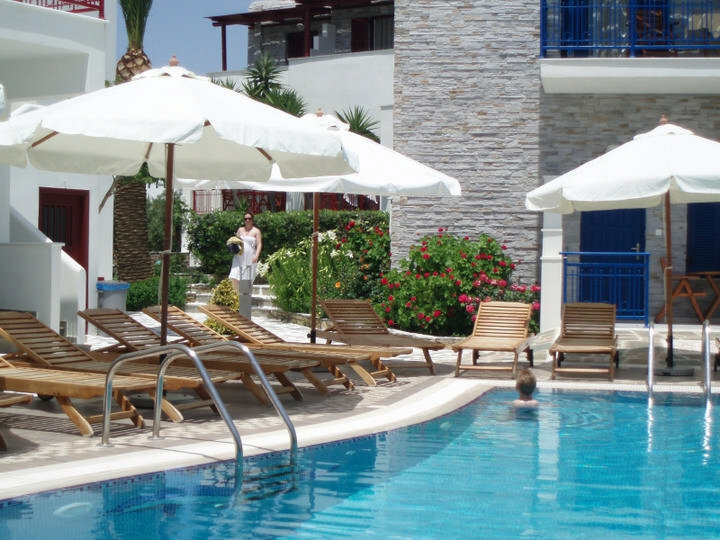 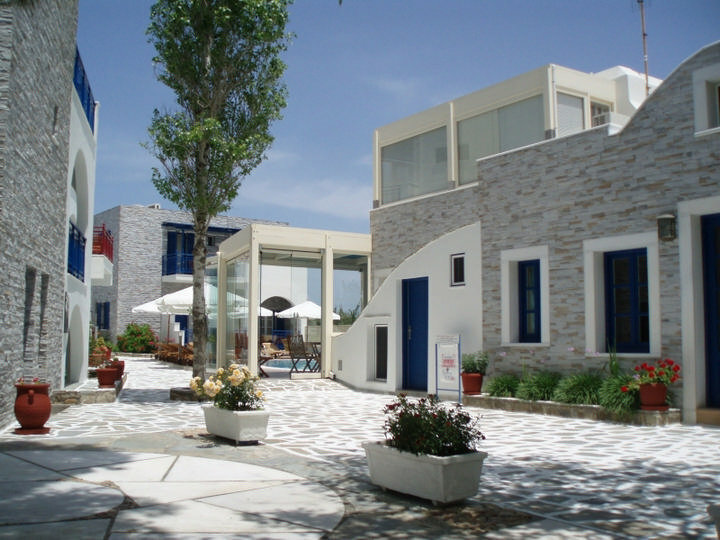 Hotel Katerina, is located in the best and most famous beach, Agios Prokopios, 5 km. 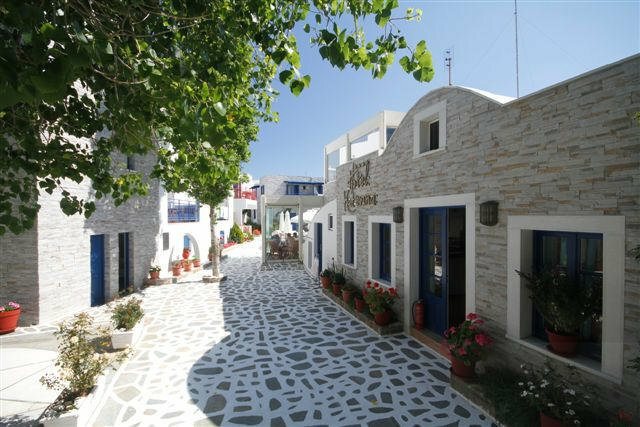 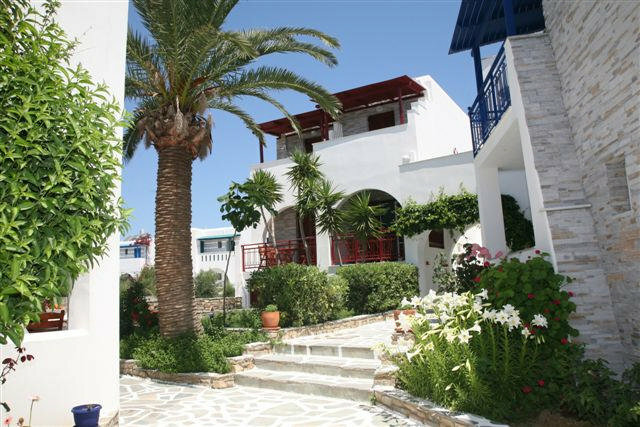 from Naxos Town and only 2 minutes (60 meter) walking from the sandy beach of Agios Prokopios with the crystal clear waters. 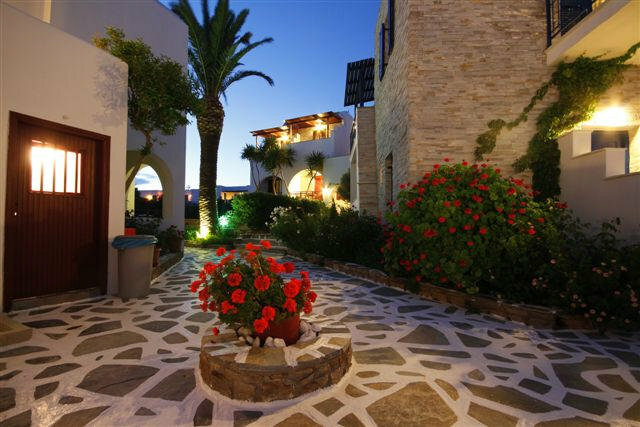 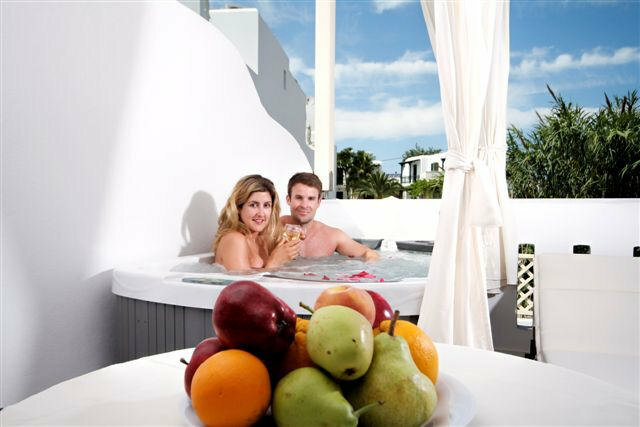 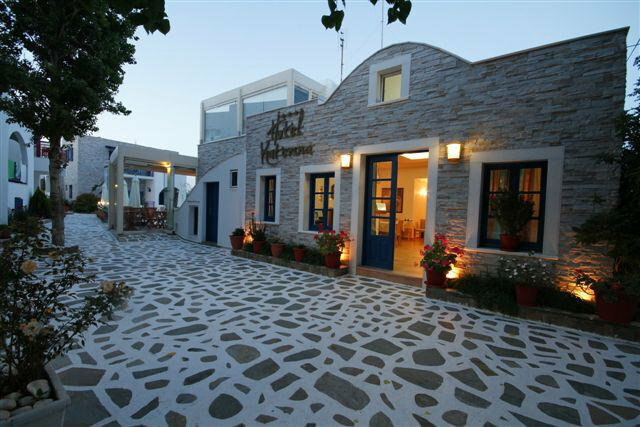 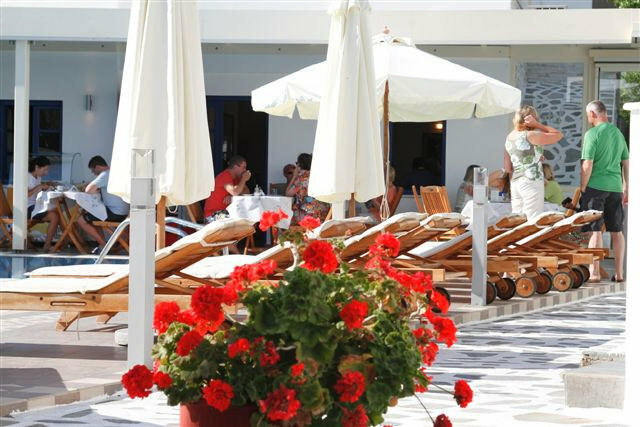 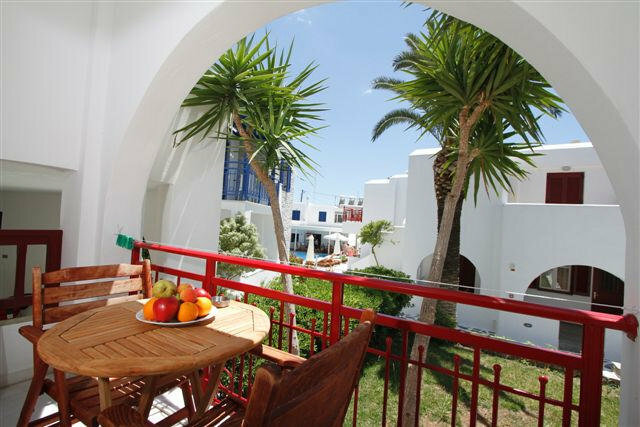 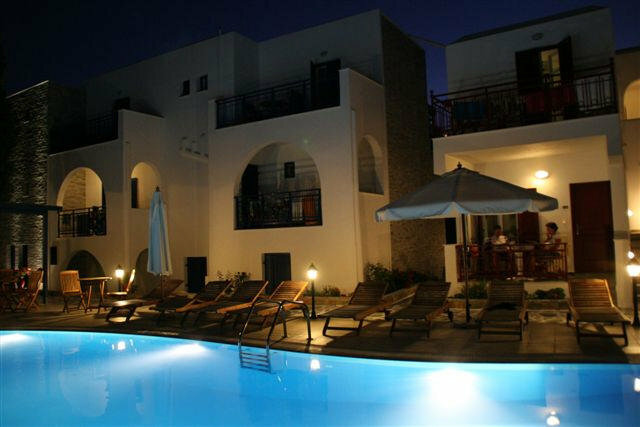 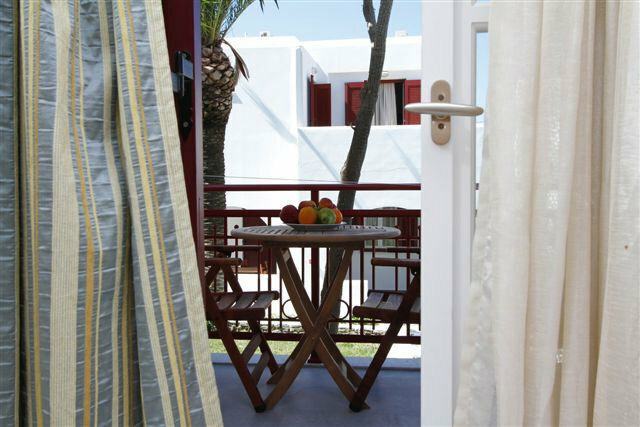 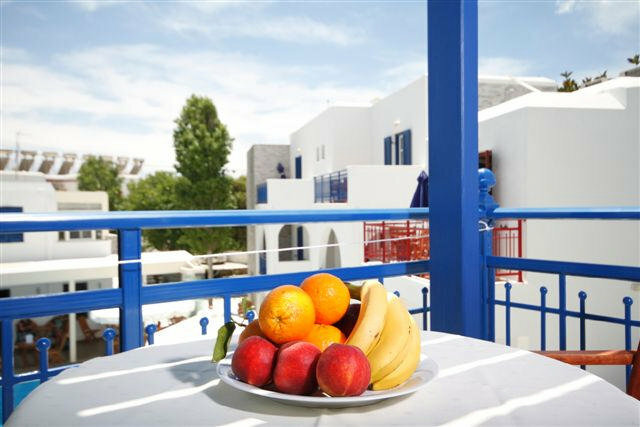 The hotel is built according to the Cycladic architectural style with all the comforts, in a picturesque tranquil ambience, for all types of vacation. 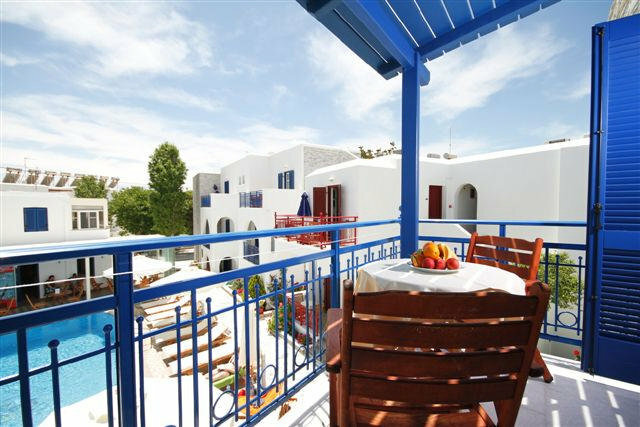 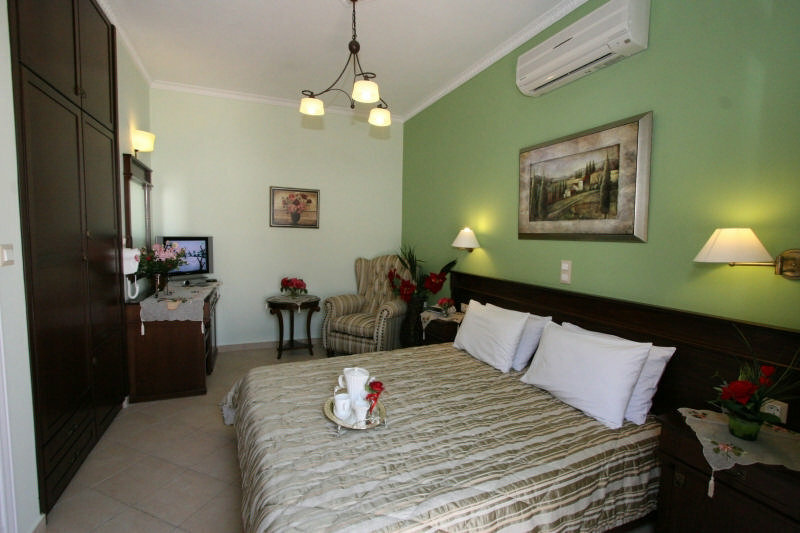 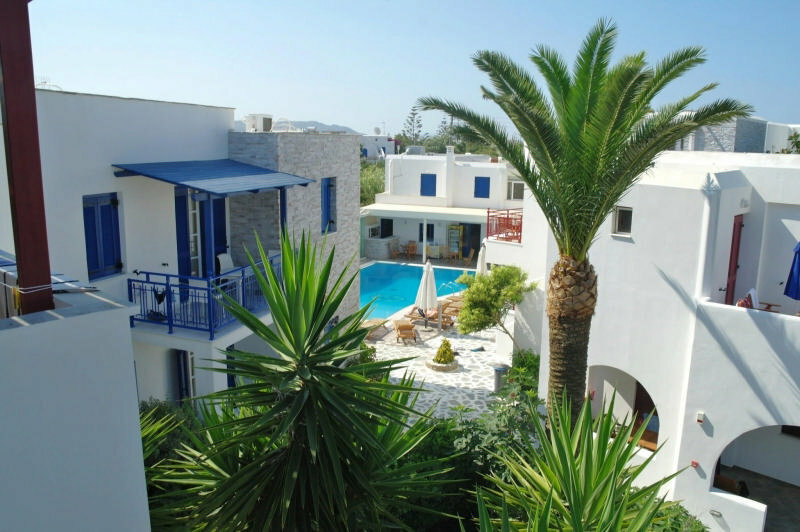 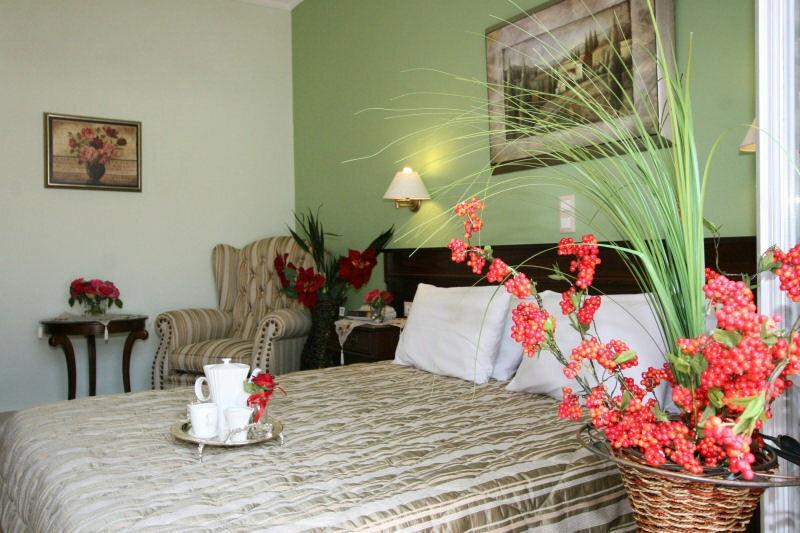 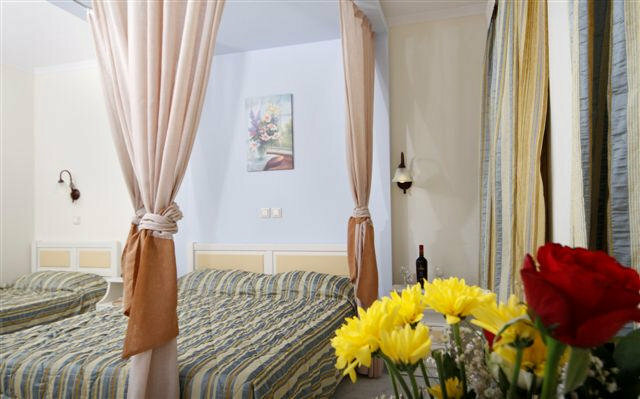 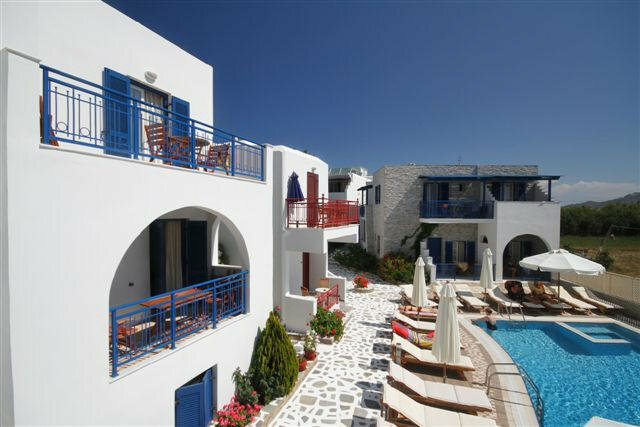 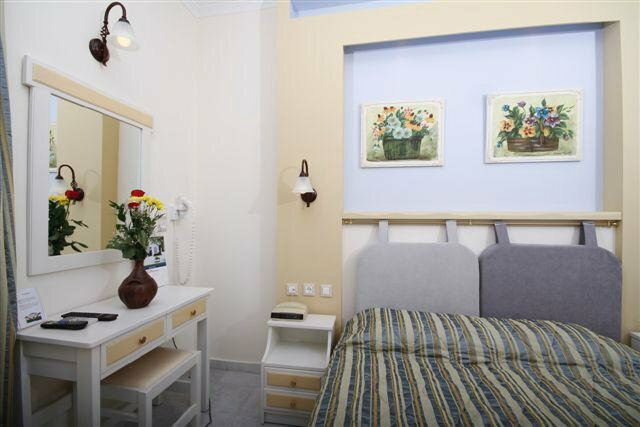 The hotel has 33 rooms/studios/apartments all of which are tastefully decorated in shades of white and blue. 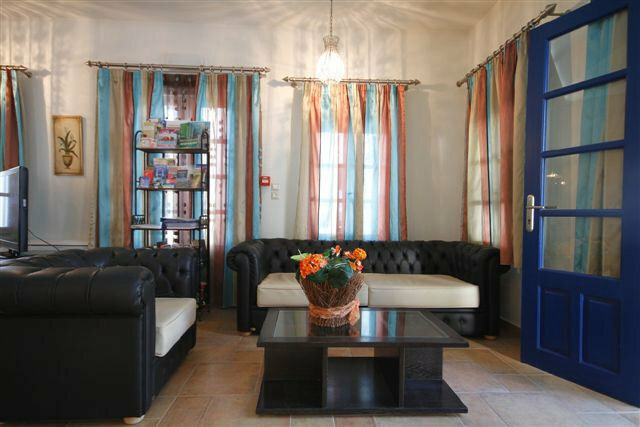 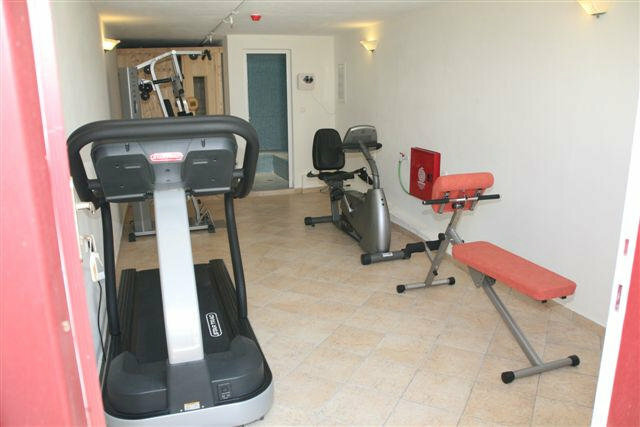 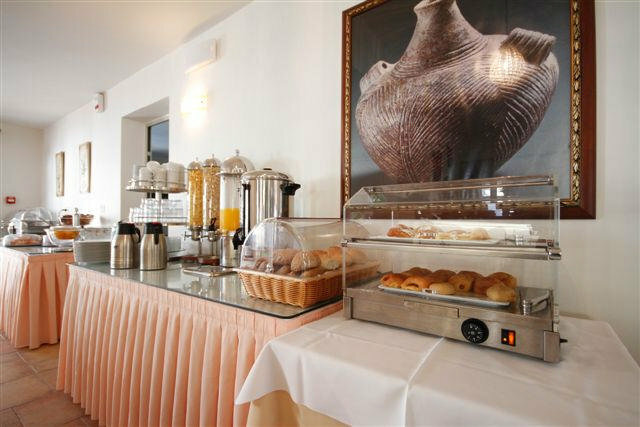 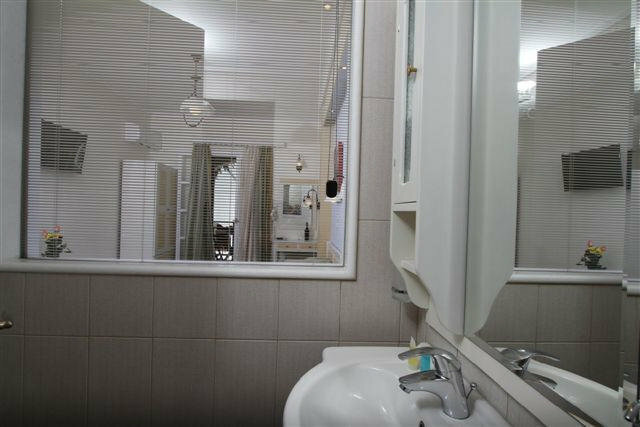 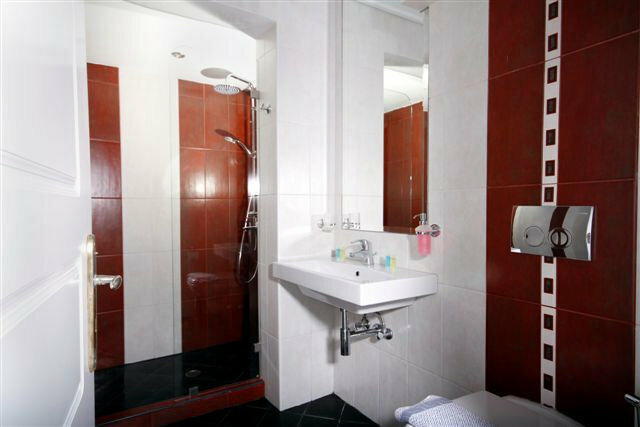 Hotel Facilities include Sitting room, TV, reception area, breakfast area, bar, swimming pool, pool bar, Jacuzzi,access for disabled, parking lot. 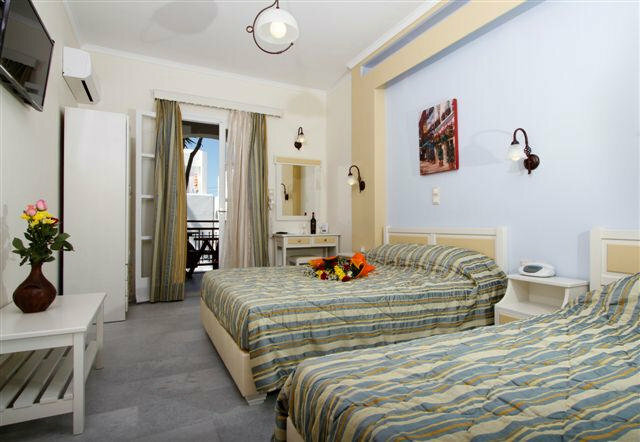 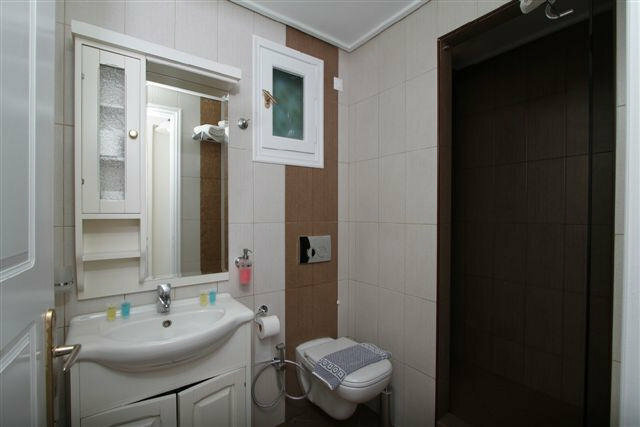 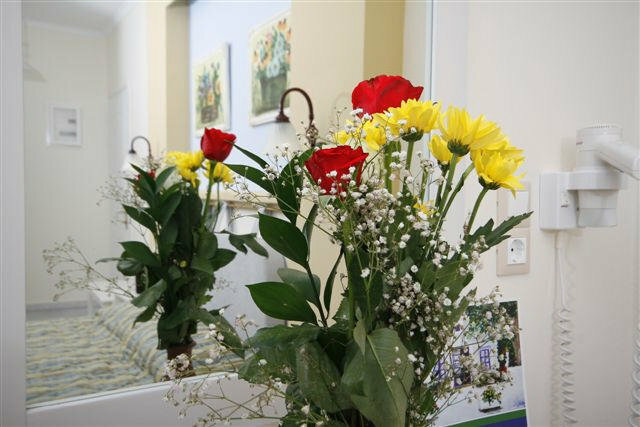 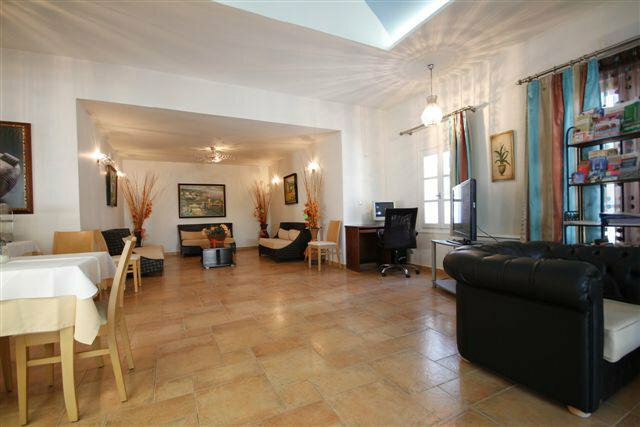 The rooms have TV with satellite channels, A/C, mini fridge, bathroom with shower, hairdryer,direct dial telephone, local/satellite radio, balcony or veranda and safe box under extra supplement(1,00 euro/per day, payable on the spot).